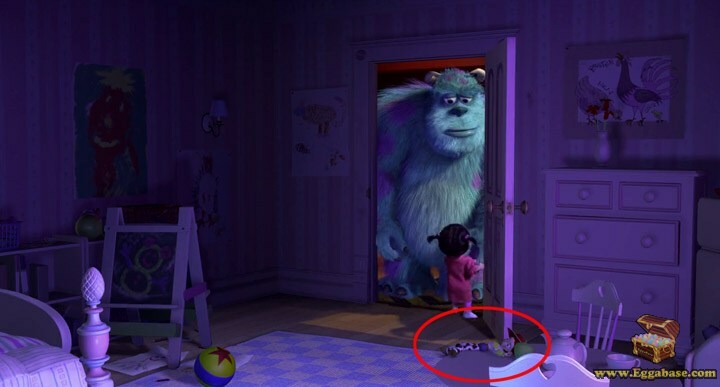 Roly Poly, the clown from Toy Story makes an appearance during the movie. 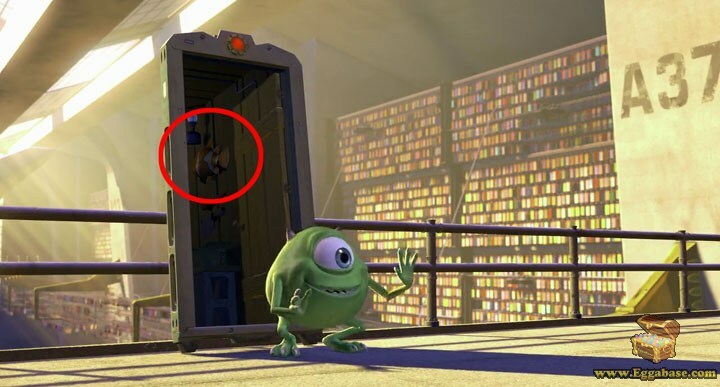 Nemo from Finding Nemo appears multiple times throughout the movie in the form of a toy, a wall plaque and even a painting. 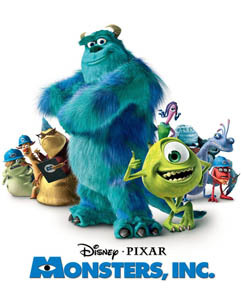 Near the end of the movie when Sully finally returns Boo to her room, Boo is ecstatic to be back home and shows this by giving Sully all of her favorite toys for him to play with. One of these toys is Jessie from Toy Story 2. 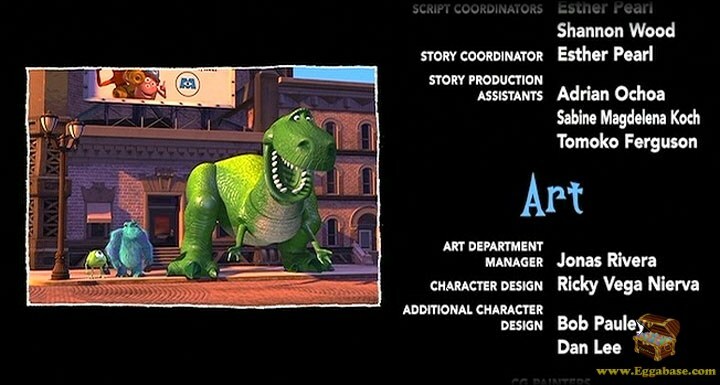 During the end credits, while showing outtakes and bloopers from the movie we see Rex from Toy Story trying out for the part of Ted, the giant chicken monster’s leg that’s seen at the beginning of the movie. 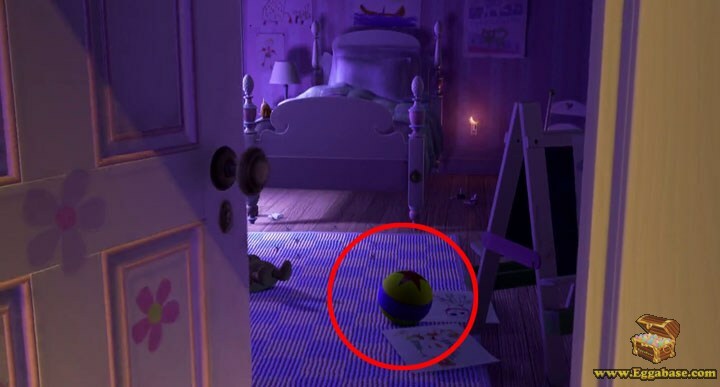 During the movie almost every time we see the inside of Boo’s room the Luxo Ball (also known as Pixar Ball) is visible on the floor in front of her bed. 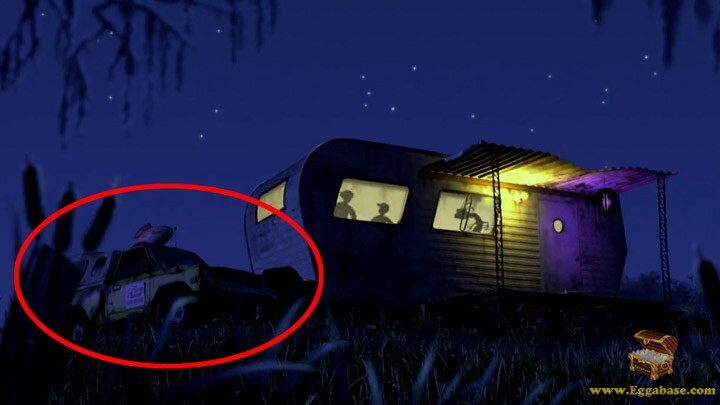 During the scene when Randall is banished to the human world, we can see off to the left side of the screen the famous Pizza Planet Truck from Toy Story. 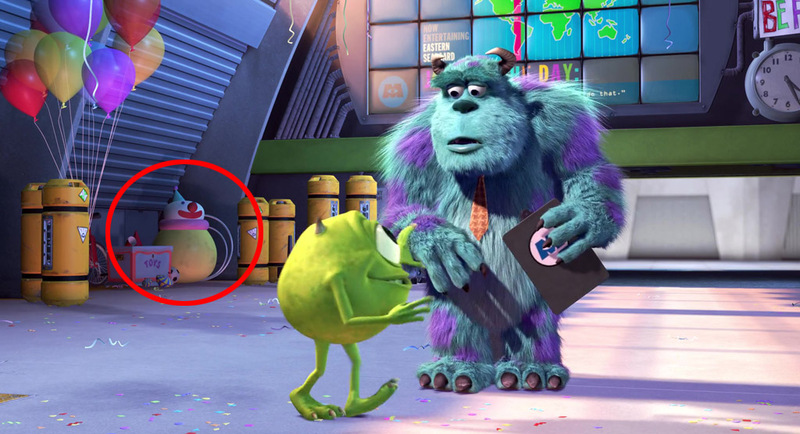 The trailer where we see the Pizza Planet Truck parked outside actually first appeared in A Bugs Life.